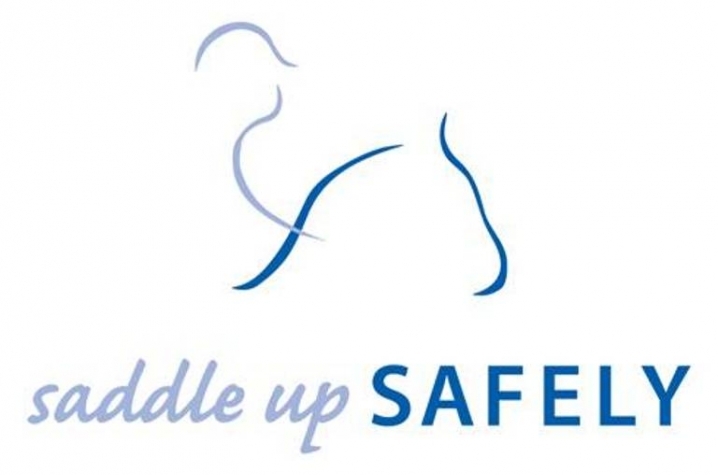 The Saddle Up Safely campaign kicks off to promote horseback rider safety. LEXINGTON, Ky. (October 13, 2009) − UK HealthCare is partnering with the UK colleges of Agriculture and Public Health and several community partners to launch a campaign to raise awareness of horseback rider safety. The five-year educational campaign, Saddle Up Safely, launched today during a news conference at the Kentucky Horse Park. In response to the number of riders admitted to UK’s Emergency Department, the campaign aims to increase awareness and educate riders not only in Kentucky, but nationally and internationally, about riding and horse handling safety. Ultimately, the goal is to reduce the number and severity of rider injuries. Launched with less than one year until the 2010 Alltech FEI World Equestrian Games, the campaign’s purpose is to help make a great sport safer. The statistics underscore the need. According to the National Electronic Injury Surveillance System's 2007 estimates, millions of people ride horses each year, generating approximately 79,000 emergency room visits, with more than 13 percent of those admitted to the hospital. While injuries to arms and legs are the most commonly treated, neck and head injuries rank second in frequency and are a significant percentage of those admitted. While motorcycle riders experience a serious injury every 7,000 hours of riding, horseback riders experience one every 350 hours, according to the U.S. Centers for Disease Control and Prevention. 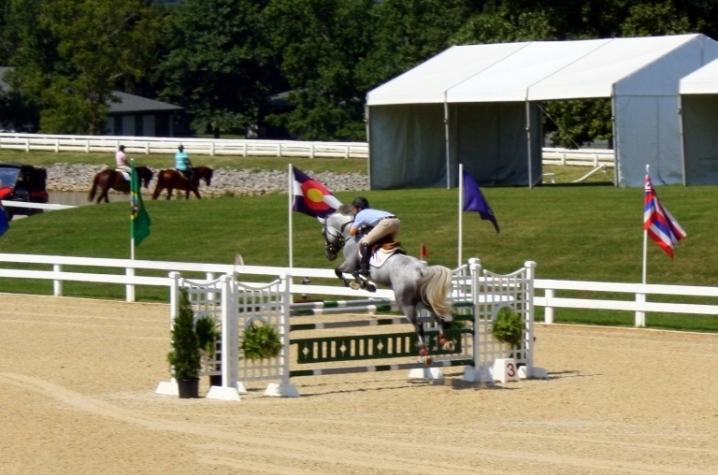 It is estimated that one in five equestrians will be seriously injured during their riding careers. And novice riders, especially children and young adults, are eight times more likely to suffer a serious injury than professional equestrians. A 2007 American Journal of Surgery article showed that half of patients in the study believed their injuries were preventable and were the fault of the rider. "Considering our state's role as the horse capital of the world and UK HealthCare's role as the official medical provider for the Alltech FEI World Equestrian Games, we are proud to also become a leader in education of horseback rider safety," said Dr. Michael Karpf, UK executive vice president for health affairs. "Together with our many partners, we have formed a powerful entity that is both far-reaching and well-rooted in diverse knowledge. It is unique to have a major academic medical center, College of Public Health, College of Agriculture, Ag extension offices across the state, the equine industry, and First Lady of a state all working together as we are doing with this campaign." The campaign features several tools to inform and educate. Included are a series of informational brochures; an interactive website featuring safety tips and stories from riders who were injured as well as a horse rider safety blog; continuing medical education opportunities for medical personnel and first responders; education-based programs; a speakers bureau, or auxiliary, comprised of volunteers who will speak to organizations or events around the state; and a presence in the UK Village at the World Equestrian Games, with the opportunity to educate the event’s 600,000 plus anticipated visitors. "The objective of this campaign is to celebrate the joy of horsemanship and to help make it safer through this project's perfect collaboration to produce a guide that will make a difference in Kentucky; and is a fitting legacy project for the World Equestrian Games," said Nancy Cox, UK College of Agriculture associate dean for research, Kentucky Agricultural Experiment Station director and administrative leader for the Equine Initiative. The campaign is a unique collaboration of expertise and participation between UK and the private sector. Major participants include UK HealthCare; UK Chandler Hospital Emergency/Trauma Services; the UK College of Agriculture and its Equine Initiative, Gluck Equine Research Center and Animal and Food Sciences Department; UK Spinal Cord & Brain Injury Research Center; UK Kentucky Injury Prevention and Research Center & Pediatrics; and First Lady Jane Beshear. Community and corporate partners currently confirmed include Alltech, Alltech FEI World Equestrian Games, Ariat, Lexington Herald-Leader, TheHorse.com, Keeneland, Kentucky Department of Public Health, Kentucky Horse Council, Kentucky Horse Park, PHI, Rood and Riddle Equine Hospital and Welch Printers. To visit the campaign Web site, share tips about experiences involving horse and rider safety, and read the blog, hosted by Fernanda Camargo, DVM, PhD, in UK's College of Agriculture, go to www.ukhealthcare.uky.edu/saddleup.